During 2014/15 Cheltenham Borough Council commissioned a review of strategic and operational tourism which came up with an ambitious vision to take tourism forward to 2020. 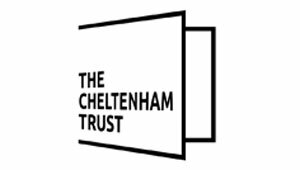 The Cheltenham Tourism Partnership is working together on this ambition towards delivering a much bigger and better solution to promoting Cheltenham to the world, and to attract a greater share of the tourism market, both within the UK and internationally. In November 2017 Marketing Cheltenham was launched and Kelly Ballard is reponsible for delivering the Tourism Strategy in partnership with Cheltenham Borough Council. Kelly is supported by apt marketing & PR a Cheltenham based agency with extensive tourism experience. The Tourist Information Centre currently located in The Wilson Museum and Art Gallery is currently managed by The Cheltenham Trust . Marketing Cheltenham are carrying out a review of visitor information and visitor wayfinding in and around Cheltenham town centre. This review will be complete by autumn 2018 and a new solution will be implemented in the months to follow.